Lately, I've been trying to do things in batches. When you're airbrushing, it saves paint. 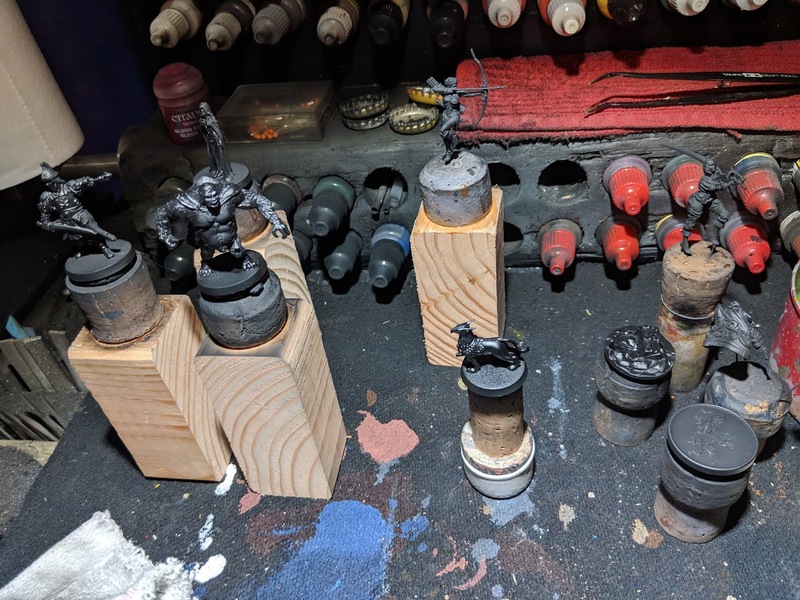 Airbrushes burn paint like no other, but when you do five to ten figures at once (assuming that you want to do a basically similar effect on all of them), you save paint. It helps me pace myself. 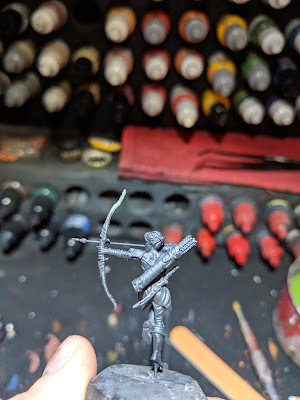 Specifically, it gives me a few things to think about and I find that it stops me from working on a wet figure when I shouldn't be or from going faster than I know I ought to. It helps me plan. 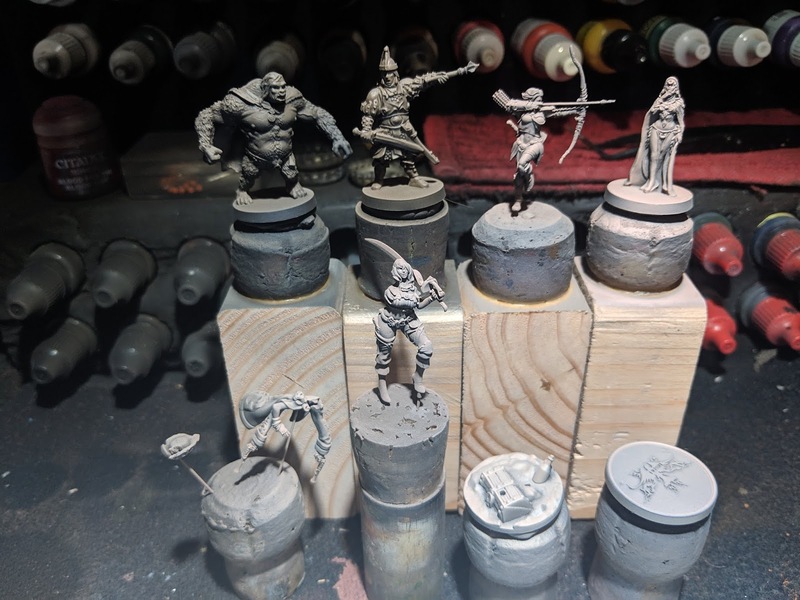 More than just checking my general impulsiveness, having a bunch of figures on the bench helps me think about what I'm going to try to do during my next daily painting hour. At any rate, having just wrapped up the Warhammer Quest: Silver Tower figures I started a couple weeks back, I decided to start a handful of new projects. 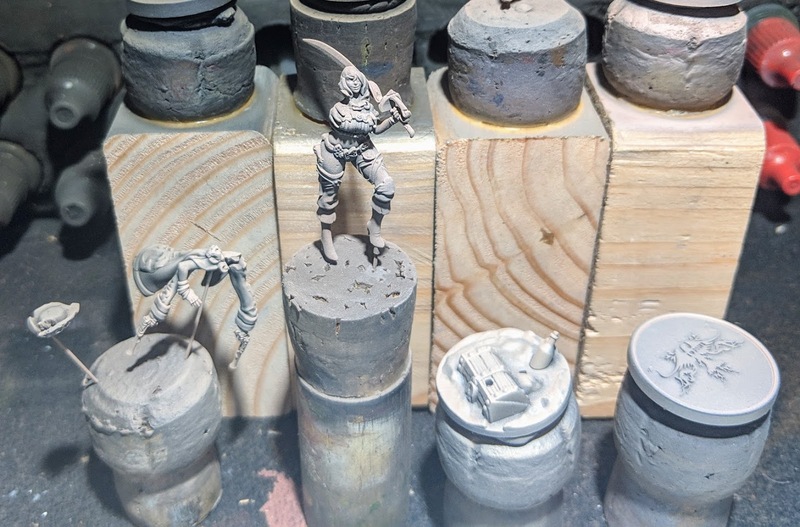 Hit the jump for some shots of the priming and base-coating of the figures. Conan (by Monolith). In top middle, a female elf archer by Zealot Miniatures. 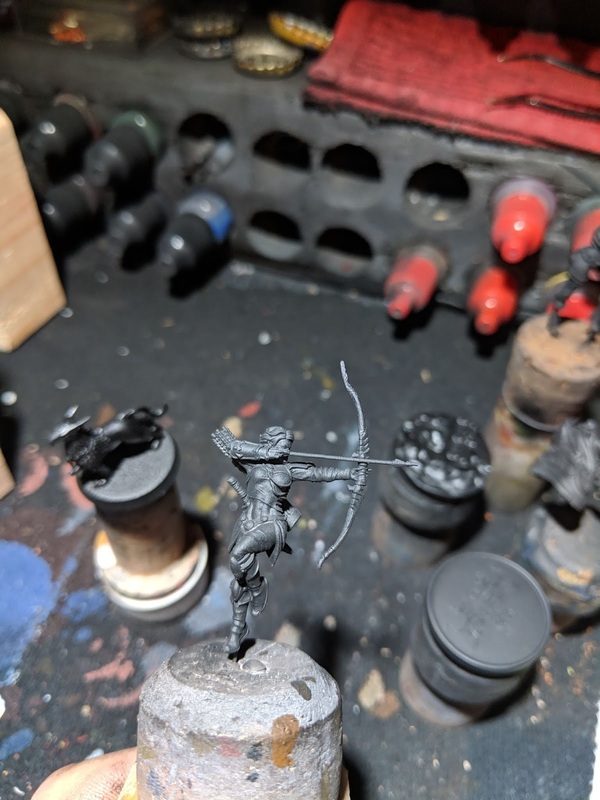 The Zealot figure took a spill and lost the top of her bow. This is how that looks after re-priming. Deep Madness is neither a well-designed game system nor a very fun game game to play. 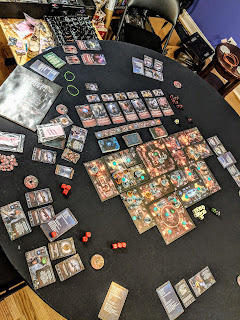 Ironically, its core systems and game loop lack both depth and refinement, making for a arbitrary, tedious and ultimately a very boring experience for a table of five players. We gave it two full sessions and ended up bouncing off of it completely. Hit the jump for a short review. I was a day-one backer of the Steamforged Kickstarter and, ever since the core game box arrived earlier this year, I've been slowly making my way through the miniatures from the Dark Souls the Board Game collection. 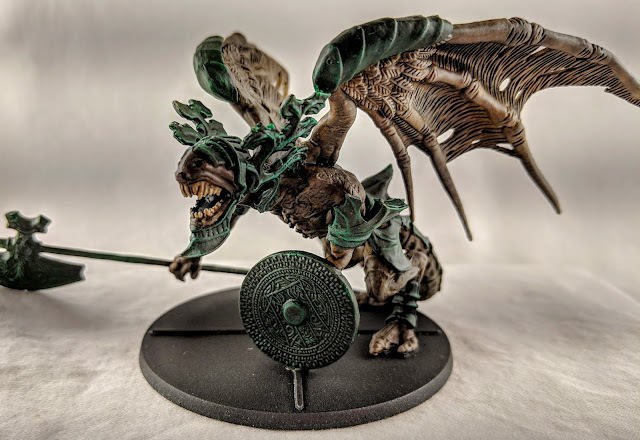 I finished up the Bell Gargoyle today, and I am pretty happy with the results. Hit the Jump for some detail shots and a little bit of commentary. Warhammer Quest: Silver Tower (part one) These figures actually have a special place in my heart. Well, one of them does, at any rate. The story goes like this: I received the game as a Christmas gift and started in on the figures in early January. The Knight Questor is on the cover of the game, so I figured I'd start there. I ended up producing one of the worst paint jobs of my adult life.